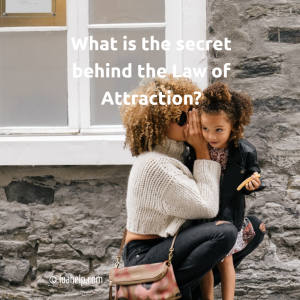 Many people ask me: “Anja, what is the secret behind the Law of Attraction?” Do you know the answer? Probably not. So let’s dive into the details together! I understand your curiosity, because I know where you come from. Many years ago I asked myself the same question. So I totally get it. You know, it took me many years to find out what that secret was. The internet wasn’t as evolved as it is now. So I had to read a lot of physical books and meet teachers. Step by step the secret was revealed to me. It doesn’t have to take as much time for you as it did for me. I am happy to share what I learned over the years with you. You’ll be amazed how simple it is! But there is a pitfall to it as well. Don’t underestimate this simplicity. It goes much deeper than you might think now. It is worth it though to learn more about it. Are you excited to find out? Basics first: what is the Law of Attraction? Before we get into the juicy part, it’s important to understand what this important spiritual law of the Universe is all about. Many people don’t really know the answer to that question. You might be one of them. It is important to really understand the basics first, to be able to fully understand how the Law of Attraction works. Once you know and understand this, it will be so much easier to you to fully grasp the secret beyond the Law of Attraction. That’s it! It really is simple. But many people have a hard time to practice this universal principle. Most people aren’t even aware of all the energies in and around them. And even if they are, it is not that simple to live in harmony with these energies. This is important to be able to consciously make them work in your favor. Like energy is always in harmony with like energy. Remember that. 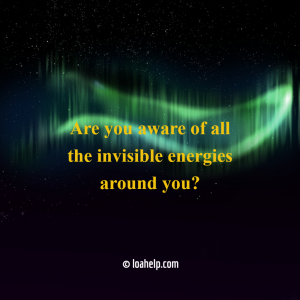 Are you aware of all the invisible energies around you? Everything is energy. You might have heard that one before. All the stuff that is around you, I mean all the material things you see with your physical eyes, are in essence made of energy! Atoms are pure energy. They are not as solid as scientists used to believe for many decades. Actually, atoms consist for 99,99% of “empty space”. This is the energy I’m talking about here. There are small particles as well in the atom. This is the 0,001% of solid stuff in an atom. All material things, from the trees outside to the dirty socks in your laundry basket and the coffee you drink (just a few examples), are made of atoms. The same is true for your body. If you put whatever material object under a very strong microscope, all you will see is atoms “dancing” in a very high speed. They move in a certain vibrational pattern. The pattern they move in, determines what they look like in the material (solid) world. In other words: the vibration in which the atoms move, ultimately determines which material form they take in the visible world! Your body vibrates all the time! You can’t see this with your physical eyes. That’s why most people don’t grasp the idea that everything is energy. Most people are focused on what they can perceive with their 5 physical senses. Our physical senses are simply not able to perceive energy in its purest form. But this doesn’t mean that energy isn’t real! This is very important to be aware of and understand. Your thoughts are energy too! The premise in this article is that everything is energy. So are the thoughts you think. This is not some kind of “woowoo story”. We’re talking science here! We can measure your thoughts with the right medical equipment. The nerve cells in your brain generate an electrical field. All nerve cells do this by the way. You have them all over your body. This electrical field is pure energy! Every time you think a thought, you send out unique vibrational patterns. Vibrational patterns are atoms that move in a certain way and in a certain speed. Don’t believe me? Click here for a great article written by Peter Baksa, which explains this principle in much more depth. Most people think an average of 60 thousand thoughts a day! That is a lot more than you are aware of. The thinking process goes on autopilot. All day, every day, you are producing thoughts. Even when you sleep, there are thought patterns active in your brain. For example when you are dreaming you think, only not on a conscious level. You have a thinking mind which is active on a 24/7 basis. So… what is the secret behind the Law of Attraction? It’s your subconscious mind! 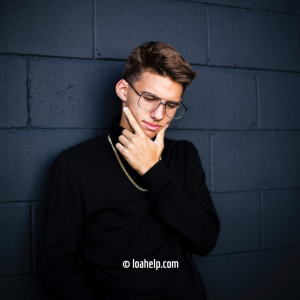 Have you ever thought about your mind? We all have one. And it is sort of “divided” by a conscious part and a subconscious part. In other words: you have a conscious mind and a subconscious mind. Good to know, but how is this related to the secret of the Law of Attraction that so few people really understand? Great question isn’t it! Your mind is energy as well by the way… Everything is energy! You think with your conscious mind. It is also known as the thinking mind. Which is a bit misleading, because this doesn’t mean you are aware of all your thoughts all the time! Your subconscious mind doesn’t think. Your subconscious mind accepts or rejects what you think. It does so, based on beliefs, feelings, emotions, etc. Your subconscious mind is the feeling mind! When a baby is born, it has no conscious mind. The baby does have a subconscious mind, which accepts all information that is put into it! In the first 5 to 7 years of your life, your subconscious mind is like a sponge. It absorbs all information. It also accepts all the information as the truth. 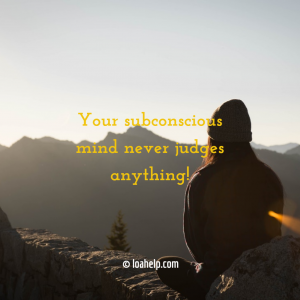 Your subconscious mind never judges anything! It is simply not able to do that! That’s not its job. The thinking part in you is the conscious mind’s job. Babies and little children have “no mind of their own”. Throughout the years their thinking (conscious) mind evolves. When you reach the age of 7, most kids start to think. Before that happens, they live in their own beautiful magical world of play and laughter. Those beliefs were put into your subconscious mind by adults when you were very young. Some people assume the transmission of beliefs already starts in the womb. Based on those beliefs you form thoughts. Later on in life, your subconscious mind absorbs other beliefs as well, like the stuff you read in books and newspapers or on the internet. The media are also important, so what you see on television and what you hear on the radio for example, is absorbed by your subconscious mind. Your beliefs are also influenced by what others around you believe and say. All these beliefs are stored in your subconscious. Your subconscious mind is the director. It always wins! Your subconscious accepts or rejects the thoughts you think based on the deep-seated beliefs it stores. This part of your mind never judges nor doubts these beliefs, but it does consider if the thoughts you put in your mind are in harmony with these beliefs. Your subconscious mind and your conscious mind want to live in perfect harmony! The vibration of what you subconsciously believe is much stronger than what you would love to believe. And there you got the answer to the question, “what is the secret behind the Law of Attraction”. Remember that like energy attracts like energy? Thoughts are energy too. Like thoughts will always attract like vibrational patterns. In other words: atoms (energy!) that move in certain waves and in a certain speed. But your subconscious mind disagrees with you, because the beliefs are in conflict with the thought. This happens for example when you think about changing something. Or when you think about your big dreams and goals in life. If your subconscious mind doesn’t believe what you think, it will reject your thoughts. A bit of positive thinking isn’t enough to change your reality! Your feeling (subconscious) mind always wins the “battle”. You start to feel bad when the thought you think doesn’t align with your internal belief systems. Your thoughts follow the emotions the subconscious mind produces. And boom: gone are your hopes and dreams! This happens all in a matter of seconds! You think based on your belief system! You send out thoughts all the time. According to the Law of Attraction, the energy of your thoughts, attracts like energy, which manifests into your physical reality! You attract atoms that move in a certain vibration! The vibration they move in determines the material manifestation! Changing your thoughts changes your beliefs! Earl Nightingale, the “dean of personal development”, stated that you become what you think about in his book, “The strangest secret”. If you are curious you can watch this video for free on YouTube. Listen to it many times, to let the information really sink into your subconscious mind. It is only 32 minutes or so. As long as you are not consciously aware of your thoughts, your subconscious mind will always be in the way! That is why so many people struggle with manifesting the life they want. If you want the Law of Attraction to work in your favor, then you need to replace the old beliefs for new ones. There is a certain way to do this. I will write about this in more detail in future articles. Are you consciously aware of your thoughts? Thank you Anja for this great and informative post. This explains why you should write your goals down and create a vision board. What interesting subject matter. I will return and read in more depth. Excellent article. Anja~I enjoyed this LOA article. I am a true believer also. The subconscious rules our thoughts is correct. Even after knowing this for many years there is still work to do for me. I cant wait for your next article! I love your post. It is true that our subconcious mind is behind The Law of Attraction. So we must fill our mind with good and positive resources. Great article. Energy, energy, energy! This was very interesting and very informative. Very well written and I see you did your research. Great job Anja! There is nothing wrong with your English.